If you are a new trader or just want to update your knowledge on today’s trading website hierarchy then you’ve come to the right place! Today, we will be talking about BitMEX alternatives and which websites you should look into if you are into BTC trading. Without further delay, let’s talk about that. Before moving on to discuss different websites, we of course need to talk about BitMEX for a bit to give you a basis for comparison on the website that we will be discussing today. BitMEX is one of the largest BTC margin trading broker on the internet today! Yes, that is not an exaggeration as the number of traders registered on their website is astonishing. Can you imagine an online trading platform handling more than $2 billion (USD) worth of BTC per day? Is that impossible? Definitely not! That’s what BitMEX has been doing for quite some time now which makes them one of the “Big Boys” of crypto trading. The secret behind their amazing success is the trading volume they support per day which quantifies to their liquidity. It is important for a margin trading broker to have the high liquidity to achieve faster orders no matter what sizes they are. And they have been providing services since 2014, which makes them the better choice when it comes to trading experience. Account flexibility is also something that you might want to consider when it comes to comparing services that BitMEX provides. First, you do not need to forward any Identification for account verifications (anonymous trading) which makes it a perfect choice for people that do not want to spread their identity throughout the internet; there’s even no option for people to submit personal documents compared to other websites out there today. Second, there are unlimited cash-outs when it comes to BTC transactions. And last but not the least, the website offers 100x leverage trading for BTC market! They do offer leverage for other alt coins but isn’t as much as what they have for BTC. Now that we’ve got the perfect reference to compare websites with, let’s look into that. On this part of the review, we will be talking about the “other” websites that offer margin trading. We will be discussing the features, what their deposit/withdrawal methods are, and of course, how much leverage they are willing to provide to traders that would want to use their services. 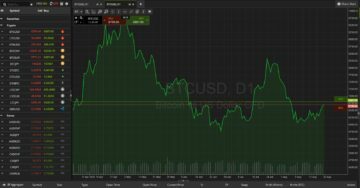 Deribit.com is a website that offers futures and options trading as well as leveraged trading for BTC. They also have openly announced that they store 95% of their coins in cold storage; plus no loss of funds since 2014. This makes them one of the best-trusted websites in the market today! Leverage – BTC futures reach up to 50:1 leverage and 10:1 for options trading. Their BTC margin trading is definitely one of the higher ones offered in the leverage game to date. Trading – Deribit.com traders will be able to use several orders like Limit, Stop-Limit, and Market Order which can come in handy if you are looking for a website that has more than just the usual buy/sell buttons. Trading Volume – The trading volume of Deribit.com is not currently included in the coinmarketcap.com website, which is odd as we thought this website was one of the leading ones in terms of trading volume. Without the data of the given website, we are unable to give you guys the idea on how they are doing in terms of trading volume. Limits – The website does not mention any sort of withdrawal limit. Verification – 2FA can be enabled for your account but no verification is needed to create one. Fiat deposit/withdrawal – Deposit and withdrawals are purely made in BTC. SimpleFX.com is a website modeled just like other trading platforms today but it has this distinct identity which gives them their unique feel and looks. If you have visited their website before then you would know what we are talking about. Leverage – The website offers leverage of up to 6:1 for BTC trades. They do also offer leverage for other coins but for a lower value. Trading – Trading is simple and straightforward. Traders will only have access to BUY/SELL trading buttons which they can access through the trading platform. No advanced order types comparable to BitMEX. Trading Volume – According to coinmarketcap.com, the website is not part of their database, which makes it harder for us to determine their actual trading volume. Or they simply do not want it to be public? Limits – The website does not mention anything about withdrawal limits; which is of course, awesome! Verification – As usual, verified account traders will be able to have access to major Fiat currencies for deposit/withdrawal. Fiat deposit/withdrawal – Available Fiat currencies that they support here are: USD, AUD, CAD, IDR, CHF, DKK, EUR, JPY, NOK, PLN, RUB, and SEK. The website does not purely provide support for crypto alone as they are considered to be one of the world’s largest CFD broker. Did you know that recently, Avatrade just landed a deal with Manchester City Football Club? The website has been providing trading services way before Bitcoin became a thing. And when it comes to experiences like that, it should never go unnoticed! As mentioned, please be advised that this website is a pro-CFD broker, which means that traders will be cashing out Fiat currencies and there are no real crypto purchases being supported on the website. If you are a trader and you want leveraged trading minus the anonymity then this website is for you! Leverage – The highest leverage being offered on the website is at 400:1. This would then depend on the asset you want to trade; for example, crude oil can be traded with 200:1 leverage. Read more about their leverage trading here. Trading Volume – Compared to pure crypto websites that offer margin/leveraged trading, Avatrade is pretty awesome since they are able to reach $60 billion per month’s worth of trade. Limits – No limits mentioned online. Verification – Verification doesn’t seem to be that important for Avatrade since creating an account with them is a breeze. After creating an account you will be given the choice to go with a test account or a real one, after some time that test account expires and you are forced to create a real one. We were expecting some form of verification, but nothing, the new account was made and deposit with Fiat can be done. Fiat deposit/withdrawal – There isn’t any limit mentioned online, which makes us believe that they do not have any deposit/withdrawal limits. The CEX.io website is definitely easy on the eyes and easy to navigate with all the information needed to understand the services provided by the website. Languages supported are English, Russian, Chinese, Italian, Portuguese, and Spanish. 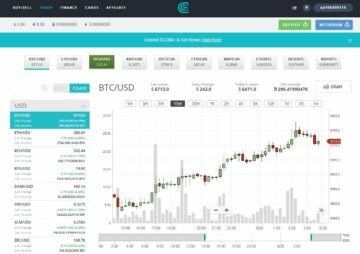 Leverage – The website offers 3:1 leverage for BTC/USD, BTC/EUR, ETH/BTC, and ETH/USD trading pairs. Trading – Order types are Stop Loss, Limit Order, and BUY/SELL. Trading Volume – the Trading volume of the website as per com is at $277 million for the recent month with a daily trading volume of $6 million worth. This places them miles away from the top ten performing platforms in general. Limits – Unverified accounts can withdraw up to USD $1,000 on a daily basis with a monthly limit of USD $3,000. Verified accounts have three tiers and all have unlimited withdrawal limits. Verification – Verification is not required to open up an account or withdraw but accounts have different limits depending on the level. Fiat deposit/withdrawal – CEX.io accepts deposits through VISA, Mastercard, Bank Transfer, and Crypto Capital. Supported Fiat is USD, EUR, GBP, and RUB. FXopen.com’s website looks like a website from the early 2000’s. Website design was definitely not in their minds when they created it and it surely needs to have a facelift if they plan to attract more customers. Leverage – The website supports 3:1 leverage for crypto trading. Trading – There are no special order types at FXopen.com which makes them one of the so-so platforms that offer leverage crypto trading. Trading Volume – Volume of trade is not mentioned on the website and is also not covered by com. Limits – There are no limits for crypto withdrawals. Verification –is required for Fiat money transfers, if you are a trader that moves around with pure crypto services then verification isn’t important. Fiat deposit/withdrawal – Accepted currencies for deposit/withdrawal are BTC, LTC, ETH, USDT, EMC, USD, EUR, GBP, AUD, CHF, JPY, and RUB. The first thing that you will notice when you visit Bitfinex.com would be their awesome “clean” look that helps you focus on one thing alone; trading. Everything can be accessed through the home page with things like features, support, mobile access, social media, contacts, and legal links which makes everything much easier. Leverage – Bitfinex offers margin trading of up to 3.33:1, which is on the lower side of margin trading compared to other platforms today. Trading – There are more than just a couple of order types that a trader will be able to take advantage namely: Limit Buy/ Sell Order, Market Buy/Sell Order, Stop Order, Trailing Stop Order, Fill or Kill Order, OCO (One Cancels Other), Hidden Order, and Post-Only Limit Order. Trading Volume – For the last 30 days, Bitfinex.com was able to reach $14 billion worth of BTC trades; which easily places them in the mid-range of trading volumes accumulated for a month. Limits – What’s amazing about this website is that they do not have any limits for cash outs. Fiat deposit/withdrawal – USD deposit/withdrawal is available only for verified traders. 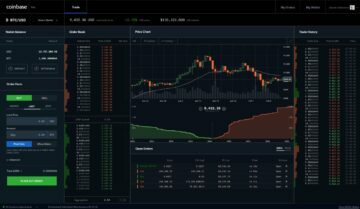 For all of you that know about GDAX, they are now known as Coinbase Pro. This means that old member of GDAX will automatically be members of the new website. 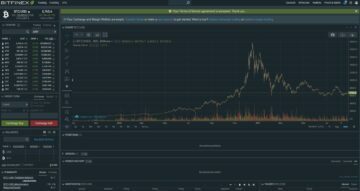 Why change the old GDAX? Because of marketing opportunities that are brought by the name, or something between the lines! We included the name here to clear things up with GDAX since that old website offered up to 3:1 leverage trading which we are unable to find at the new website now. The website was supposedly made for “whales” of the trading industry; but they, of course, cater to the regular trader. They have affiliate bonuses, offer mobile support, and offer a demo account which is a great feature for new players of the trade to experience the whole 9 yards without getting their feet wet. Leverage – With a maximum position size of 40 BTC, co offers a maximum of 20:1 leverage of Bitcoin trades. They do offer different leverage ratios for other supported cryptocurrencies featured. The website also supports demo trading, which is a plus for our newer trading friends. Trading – Unfortunately, the website does not have any advanced trading tools like some websites that we have (and will) discussed on this review. The only action that can be taken would be straightforward BUY/SELL. Trading Volume – There are no reports listed on the volume traded by Whaleclub on the website coinmarketcap.com. Limits – Since the website does not require any verifications and only support crypto transactions, there are no limits to how much you will be able to withdraw in cryptocurrencies. Verification – There are no verifications required; which means that the website only provides support for cryptocurrency trading. Fiat deposit/withdrawal – Whaleclub.co only provides supports for BTC and DASH deposits/withdrawals. 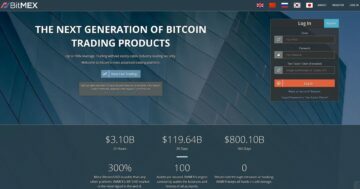 When it comes to BitMEX.com there isn’t a website that’s even close to what they have to offer in the cryptocurrency-world trade market. This makes their website unique and why people choose them over the hundreds of available exchanges today. Of course, there are a lot of options and by the end of the day, it all comes down to what the traders’ priorities are.